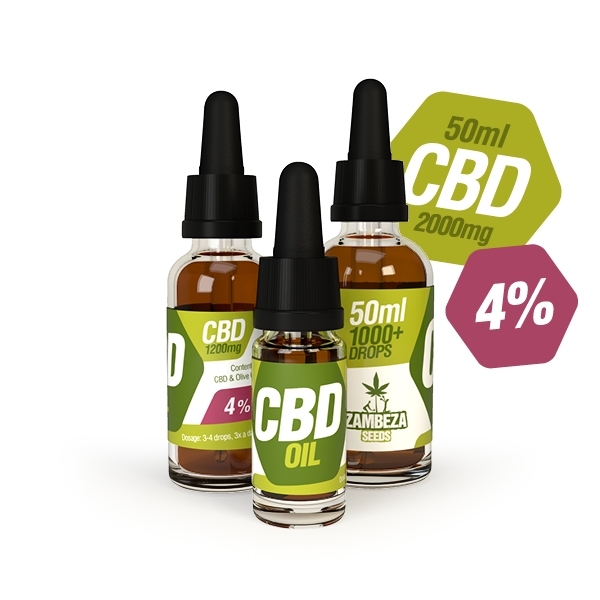 At Zambeza we enlist the latest technologies to constantly improve the production process of our CBD oils. As such, we are well versed in high-quality CBD production. We are able to retain the full spectrum of naturally occurring terpenes while removing lingering psychoactive cannabinoids and all of the unsavoury plant matter including chlorophyll, plant matter and waxes. Not only do we use 100% organic hemp grown within the EU, but we also test our liquids throughout every step of production in order to ensure there are absolutely no chemicals or heavy metals present. That way we can guarantee that our 4% CBD oil is as natural as can be, and also has a pleasant flavour and aroma. Our customers can rest assured that they are getting a highly effective and powerful dietary supplement. Due to our clean extraction process, we never use pure CBD crystals in our high concentration CBD oils, as this can compromise quality in favour of speed. Our 4% CBD oils retain as many of the essential cannabinoids as possible as we believe in "The Entourage Effect" which describes how CBD is more effective paired with other cannabinoids terpenes to enhanced effect. Zambeza 4% oils are fully decarboxylated, which also turns the existing inactive acid precursor CBDa into CBD. Oils maintain an even and liquid consistency from bottle to bottle, ensuring you will get the correct dose from each and every drop. The convenient dropper bottle means that dosing is a simple process. We recommend taking 3-4 drops under the tongue, on top of food or with drink up to 3 times a day. As you become more familiar with the effects and benefits of CBD oil, you can increase or alter the dosage as you see fit. All of our oils are entirely free from added chemicals and preservatives, so our 4% CBD oil is best stored in a cool, dark place such as a refrigerator.